Home of the World Fire Knife Champions! Join us on the legendary North Shores of O'ahu as we share the BEAUTY of Polynesia through song and dance! You can watch us perform in multiple locations that are open to the public. Want to spice up your event? Have a luau! 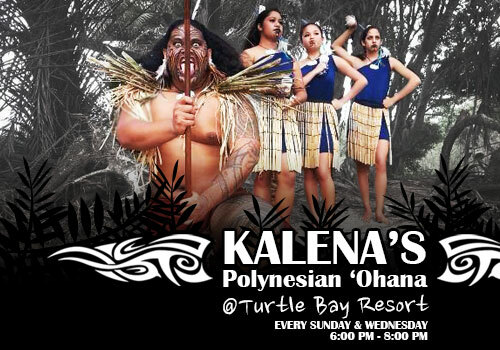 Kalena's Polynesian 'Ohana provides custom packages for your special occassion no matter how big or small. 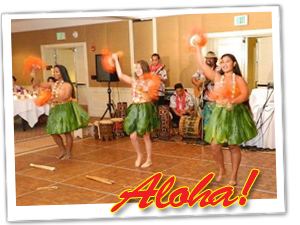 Enjoy our live band, dj and beautiful hula dancers as they perform routines from the islands of Hawaii, Tahiti, New Zealand and Samoa. Join us every Sunday and Wednsday nights at The Point: Sunset Pool and Bar. Our dancers will be outside prior to the show to teach you how to maneuver the New Zealand poi and spin the fire knife. You can also shop for a sourvenirs next to the stage. Sundays we feature a tattoo artist to provide temporary tattoos. The bar faces the amazing surf and sunset so enjoy great food, drinks and enjoy the show! Every third Friday, Hale'iwa Joe's hosts an Art Event where you can watch or participate in the art activities. Hale'iwa is our hometown and we love the fact that we can be a part of an amazing event for the community! Need more info? Please fill out the form below and we will reach out to you!